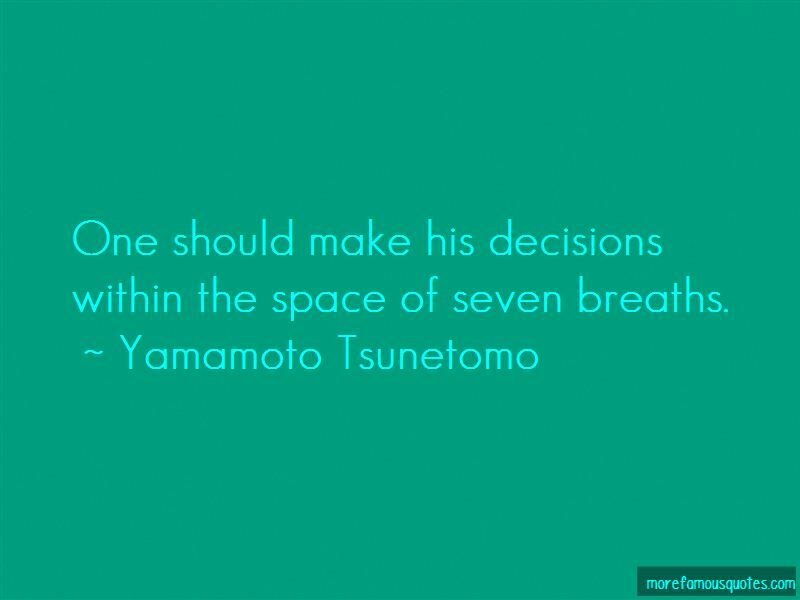 Enjoy the top 63 famous quotes, sayings and quotations by Yamamoto Tsunetomo. Having only wisdom and talent is the lowest tier of usefulness. It is better to have some unhappiness while one is still young, for if a person does not experience some bitterness, his disposition will not settle down. Covetousness, anger and foolishness are things to sort out well. When bad things happen in the world, if you look at them comparatively, they are not unrelated to these three things. There is one transcending level, and this is the most excellent of all. This person is aware of the endlessness of entering deeply into a certain Way and never thinks of himself as having finished. When delivering something like an important letter or other written materials, grasp it firmly in your hand as you go and do not release it once, but hand it over directly to the recipient. An affected laugh shows lack of self-respect in a man and lewdness in a woman. It is carelessness to go about with one's hands inside the slits in the sides of his hakama. When something out of the ordinary happens, it is ridiculous to say that it is a mystery or a portent of something to come ... the mystery is created in (their) minds, and by waiting for disaster, it is from their very minds that it occurs. 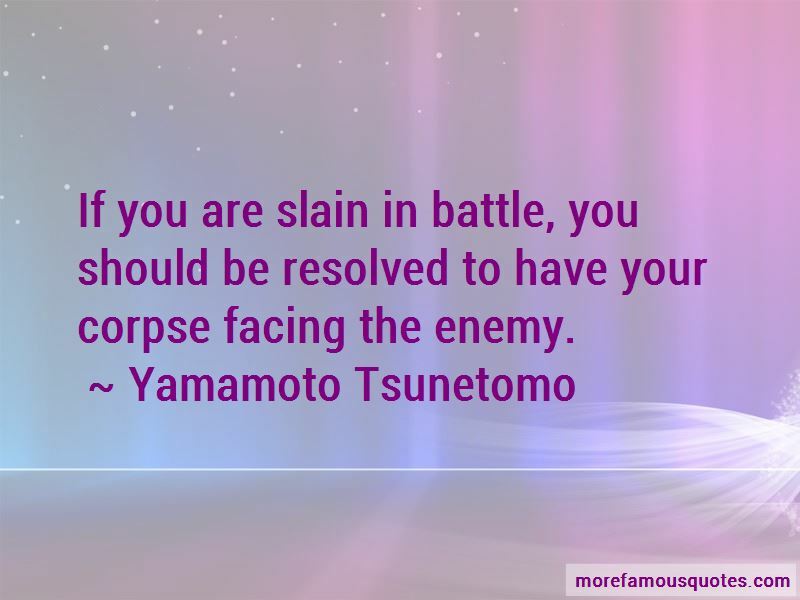 Want to see more pictures of Yamamoto Tsunetomo quotes? 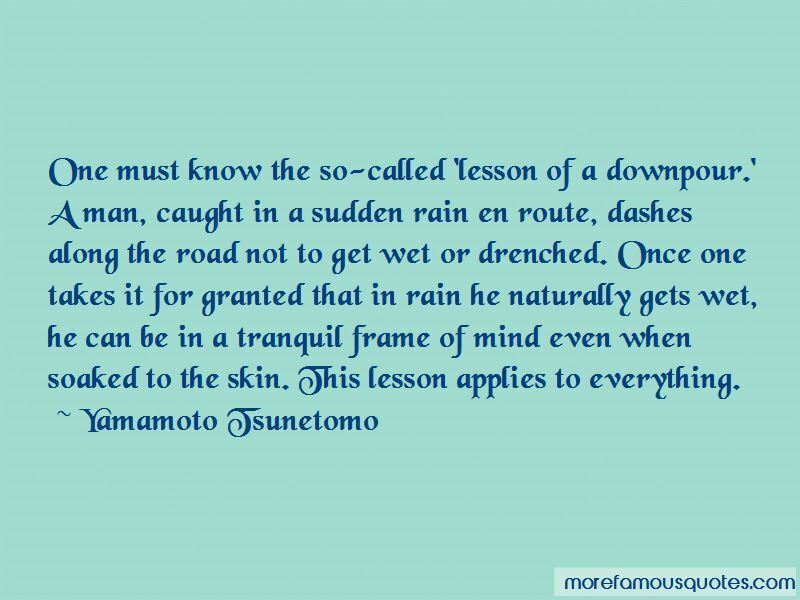 Click on image of Yamamoto Tsunetomo quotes to view full size.